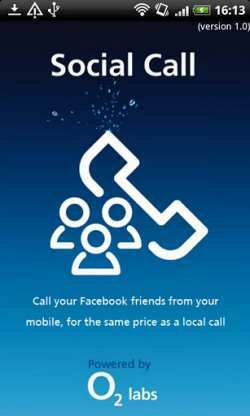 There is a new O2 UK Social app that uses Facebook chat to allow users to call friends at a low price, the application for iOS and Android is called Social Call, from O2 Labs. 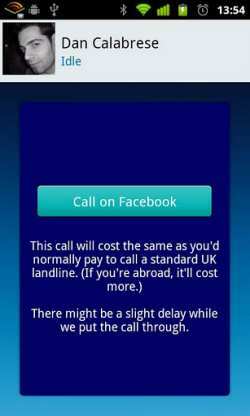 This new app enables users to make international calls for the same price rate as UK landline calls, in a nutshell both Android and iOS users can call Facebook friends by using the chat feature all over the world, no mobile phone number is needed. This is all part of the O2 Labs test, basically means users can try out this new application and service while still be tested, and seeing as O2 Labs are still working on this app and service it could have problems, or even disappear, time will tell. You do not have to be on the O2 network to use this app either, all is needed is a UK mobile number and a Facebook account. There is a possibility that you will use some of your monthly data so please read the small print within the terms and conditions area. Break it down: Get the app via iTunes (App Store) or the Android Market, then open and sign in to Facebook chat, choose who you wish to chat to and that person you chose will get a message asking them to join you for a call. This is a simple but effective app that should be tried out, please let us know how you get on if you use.